Studies reveal that making a workplace fun may be an inexpensive, profitable mechanism of engagement that correlates directly with increasing employee job satisfaction, cultivating morale, and improving quality of customer service. And when we say “fun,” we talk about it as an outgrowth of a positive workplace culture and environment. Fun workplaces cultivate an environment that enhances learning, productivity and creativity while reducing employee burnout and absenteeism. In fact, doing workplace fun activities and events is an active prevention measure for burnout. It shows appreciation for the time and effort employees give to the organization. 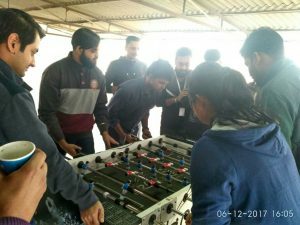 Foosball has become extremely popular in the last few years. 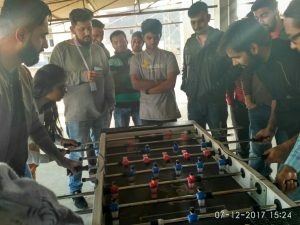 Today, foosball is not something people play in bars but they are buying foosball tables for their workplace. 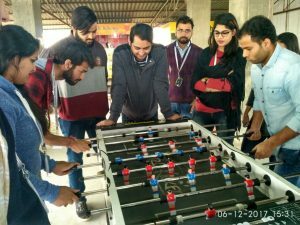 With a busy lifestyle, it is easier to play foosball with your colleagues at workplace. During breaks and breathers, they play for a short time because there are other people who want to play it too. We decided to conduct a foosball tournament since the game is very popular and played with immense enthusiasm among our employees. 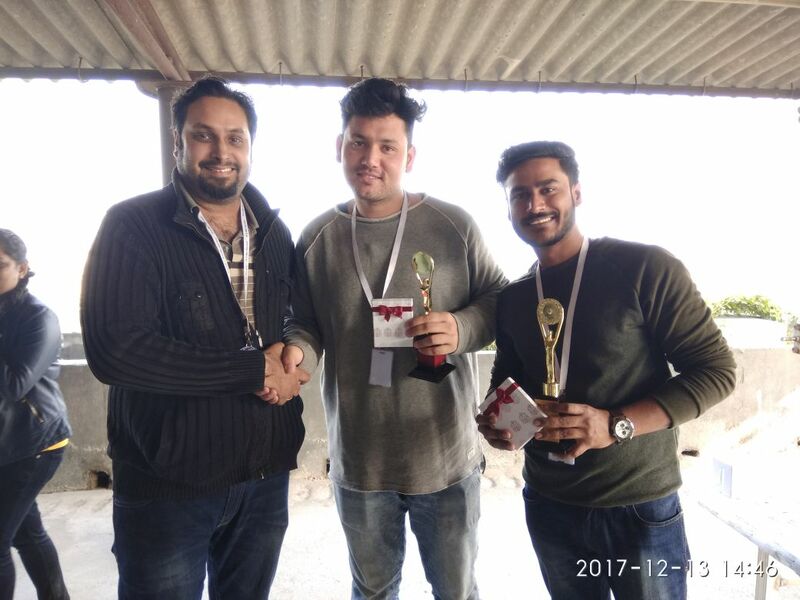 We received 48 individual nominations from our employees who wanted to participate and play this tournament. 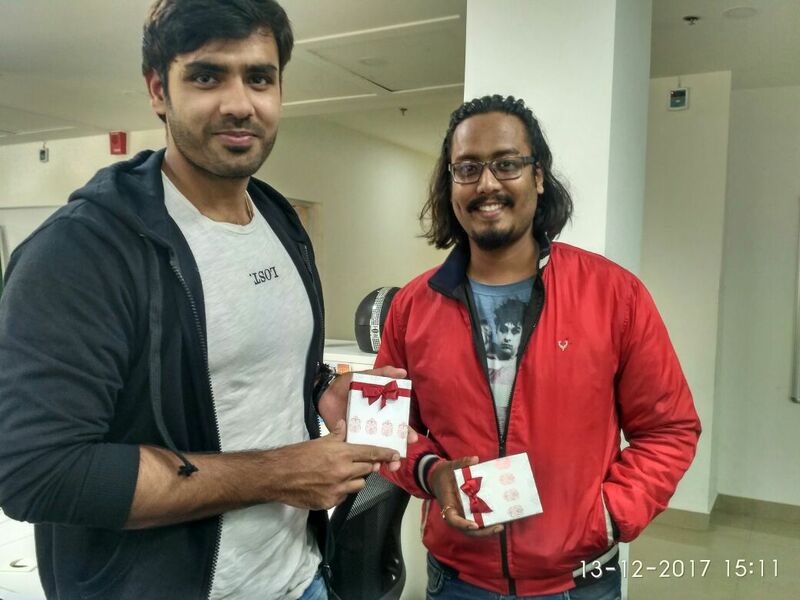 Through a lucky draw, 24 teams (2 members each) were created from the nominations received. 1st Round: The 1st elimination round was played between these 24 teams which gave us 12 winning teams which moved ahead in the competition. 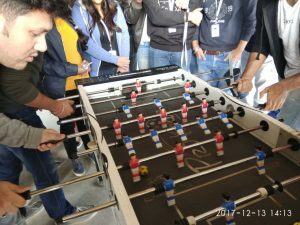 2nd Round: The 2nd elimination round was played between these 12 teams which gave us 16 winning teams for the next round. 3rd Round: These 6 teams played the 3rd elimination round and the top 3 teams moved ahead to compete in the triangular series. 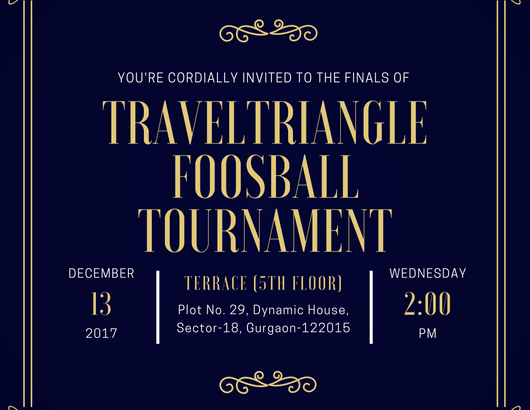 Final Round: The top 3 teams played the triangular series to give us the Foosball Champions of TravelTriangle Dec’17.